Pursuant to Arizona Revised Statues A. R. S. 38-431/02, notice is hereby given to the general public that the board of directors will hold their board meetings open to the public as specified below. The board reserves the right to change the order of items on the agenda, with the exception of public hearings. 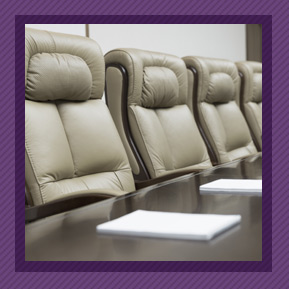 One or more members of the board may participate in the meeting by telephonic and or electronic communications. Persons with a disability may request a reasonable accommodation such as wheelchair access, or persons needing translations should contact the MIT headmaster at (602) 272.0006. Please make requests as early as possible to allow time to arrange the accommodation. The MIT board meeting notices are posted at least 24 hours in advance of the meeting on a front lobby window of the school located at 3900 S. 55th Avenue and on this website. The MIT board meetings are on a monthly basis via conference call at the Riverside district office conference room located at 1414 S. 51st Avenue, Phoenix, AZ 85043. We hold special board meetings as needed throughout the school year. We will post notices and agendas on the window of the school and on this website.